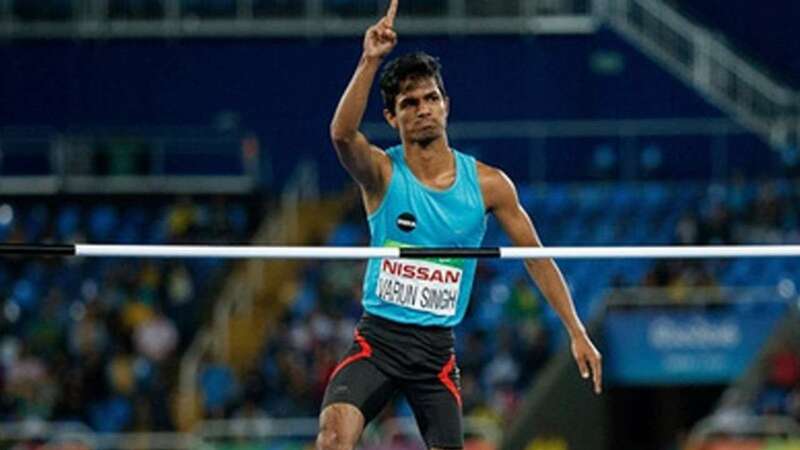 India took over the podium in men’s high jump T42/63 category, claiming all the medals up for grabs with defending champion Sharad smashing two records to snare a second successive gold in the Asian Para Games on Thursday. The 26 year old world championships silver-medallist bettered the Asian as well as the Games record with a jump of 1.90m to claim the top honours. The T42/63 covers lower limb deficiency, leg length difference, impaired muscle power and impaired range of movement. The silver was claimed by Rio Paralympic bronze medallist Varun Bhati (1.82m) and the bronze went to the Rio gold medallist Thangavelu Mariyappan (1.67m). Bhati’s jump was his season’s best effort. Sharad, who hails from Bihar, suffered paralysis in his left leg at the age of two after being administered a spurious polio medicine at the local eradication drive. He has been a former world number one. Earlier, Indian javelin thrower Sundar Singh won a silver medal in the men’s F46 category where two time Paralympic gold medallist Devendra Jhajharia finished fourth. In the same event, Rinku picked up a bronze medal to make it an India-dominated podium. The F46 category of disability covers upper limb deficiency, impaired muscle power or impaired range of movement. India also logged a bronze in the men’s 400m T13 category with Avnil Kumar claiming the third position. The T13 classification deals with visual impairment.